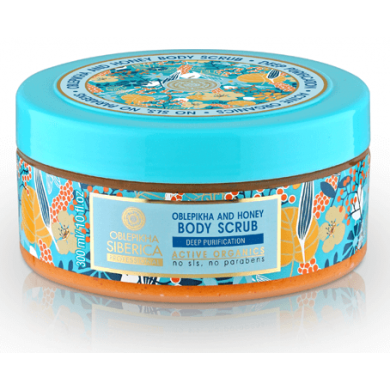 Natura Siberica Oblepikha and Honey Body Scrub perfectly cleans and refreshes skin helping to preserve its beauty and youth. 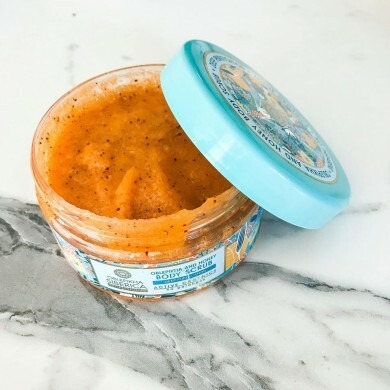 All products in Natura Siberica Oblepikha line contain a high concentration of Altai Oblepikha organic oil (sea-buckthorn) produced by cold pressing the selected hand harvested berries. Also the products contain organic ingredients and active components, which are found in professional hair care treatments. How to use: apply to clean skin by gently massaging. Then rinse thoroughly with warm water.